This is the famous 17th fairway at Sawgrass. The green is a small island. 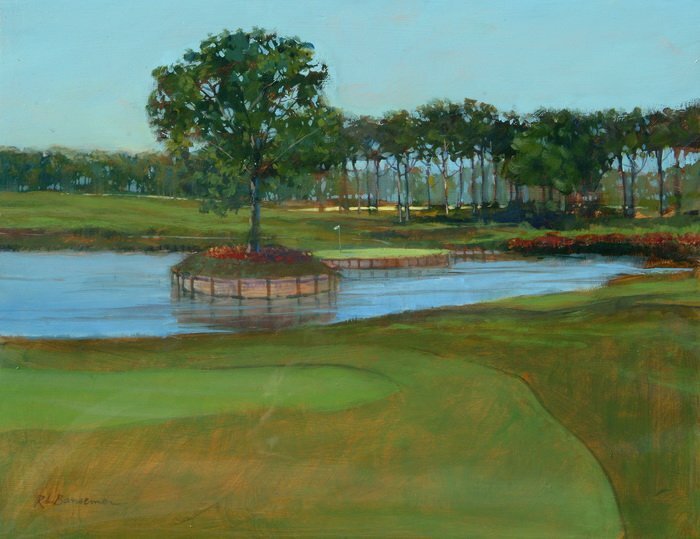 We were there to film one of our PBS television shows “Painting and Travel.” Sarah interviewed some of the golfers and I did this painting the day after the event was over. I thought it would be nice and quiet during the filming but they were busy just off to the left breaking down all the viewing stages not to mention the lawn mowers. Playing this hole can be challenging but filming can be challenging too.